Scott Dann opened the scoring for the away side in the 76th minute on Monday night, Palace having resisted a number of Everton attacks after the break, with Romelu Lukaku hitting the woodwork either side of the interval for the hosts. The Belgium striker did eventually get on the scoresheet, tapping in Gerard Deulofeu's cutback just five minutes after the away side took the lead but it was a frustrating evening for Everton. The sides were even throughout the opening 45 minutes but it was one-way traffic after the break, with the Palace defence somehow withstanding mounting Everton pressure before Dann broke the deadlock from a corner. Palace move up to sixth spot in the table, with Everton a point behind in ninth. Connor Wickham started the match in lively fashion for Alan Pardew's side, brushing off the attention of Brendan Galloway before firing a low effort from the edge of the box but Tim Howard was equal to it. Ross Barkley was next to try his luck for the home side, linking up well with Lukaku but his first-time curling effort from the edge of the box whistled just wide of the post. Howard had to be on hand to deny Wickham again after 15 minutes, with the striker sneaking in between two Everton defenders at the near post to get his header away from Yannick Bolasie's cross, but the goalkeeper was able to push the ball away. Lukaku went even closer for the hosts five minutes later as he got the break of the ball off a Palace defender before cutting inside and shooting from the edge of the box, but he could only watch as his effort came back off the post. Everton were patient with their build-up play and looked to the trickery of Deulofeu on the right-hand side to try and get in behind Palace but, although the Spaniard was always a threat, his final ball failed to pick out team-mates. Bolasie and Yohan Cabaye both tried their luck from distance to no avail while Lukaku looked to out-muscle Damien Delaney in the box but the defender did well to block the striker's shot at the near post. Everton had the best chance shortly after the break as they counter-attacked at speed with Lukaku feeding Arouna Kone on the right whose cross was met by Barkley but his header just fell wide of the post. At the other end, Palace nearly caught out Everton with a pacey break of their own, with Bolasie's stepover allowing him to evade John Stones and get the ball on to his left foot but his effort was blocked by the legs of Howard. Everton struck the woodwork again on the hour mark as Barkley's dangerous delivery from the left was whipped in with real menace, grazing the head of Wickham, who inadvertently sent the ball on to the bar. Wayne Hennessey was then called into action to pull off a brilliant fingertip save to deny a Tom Cleverley volley from the edge of the box which was creeping under the bar. After scoring his 50th goal for Everton, Jamie Carragher and Craig Bellamy discuss Romelu Lukaku's improvement this season. Cleverley and then Deulofeu forced Hennessey into further saves shortly after as the home side continued to press forward. The smash and grab looked on, however, as lifelong Liverpool supporter Dann got the better of Gareth Barry to meet Jason Puncheon's corner to head past Howard with 14 minutes remaining. Two minutes later, Lukaku nearly got his side back on level terms as he picked up a loose ball on the edge of the box and, with the ball still bobbling, sent the ball over the diving Hennessey and on to the bar. 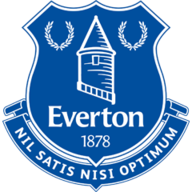 Lukaku did not have to wait long to get on the scoresheet, however, as he was on hand to score his 50th goal in 100 Everton appearances as he got on the end of Deulofeu's ball across the six-yard box. 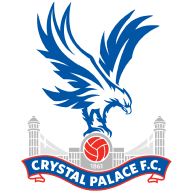 Crystal Palace: Hennessey (7), Ward (6), Dann (7), Delaney (7), Souare (6), Cabaye (6), Jedinak (6), McArthur (6), Puncheon (6), Wickham (6), Bolasie (7).